Over the Easter period we went to Dorset for a week in a Caravan, we didn’t get the best weather, we only had rain once, but we made the most of it and had a great time. 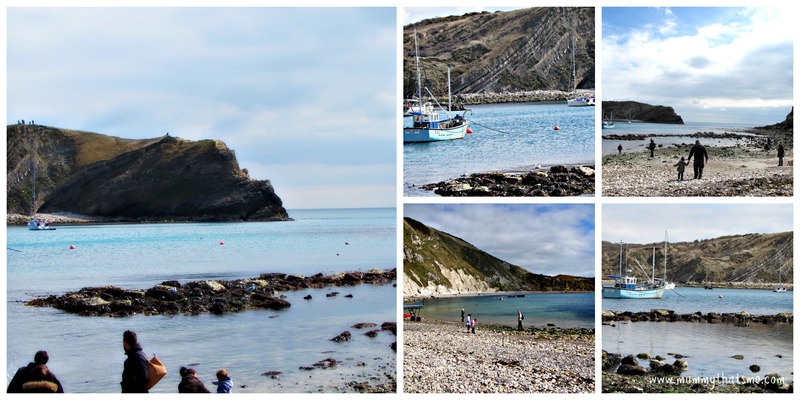 On a sunny yet blustery day we ventured to Lulworth Cove, I had seen so many photos of the place and also on television that I wanted to go and take a look. The Cove was formed by the combined forces of the sea and a river swollen by melting ice at the end of the last Ice Age, it has created a beautiful landform that is very popular with tourists. We managed to get a few photos but none of them are amazing, E decided today was the day for not wanting her photo taken and to look grumpy if the camera turned her way. It amazes me how she knows a camera is facing her even if taken from afar. The cove is set almost into a valley so there are lots of hills, cliffs and areas to explore, E enjoyed climbing around and discovering the area. 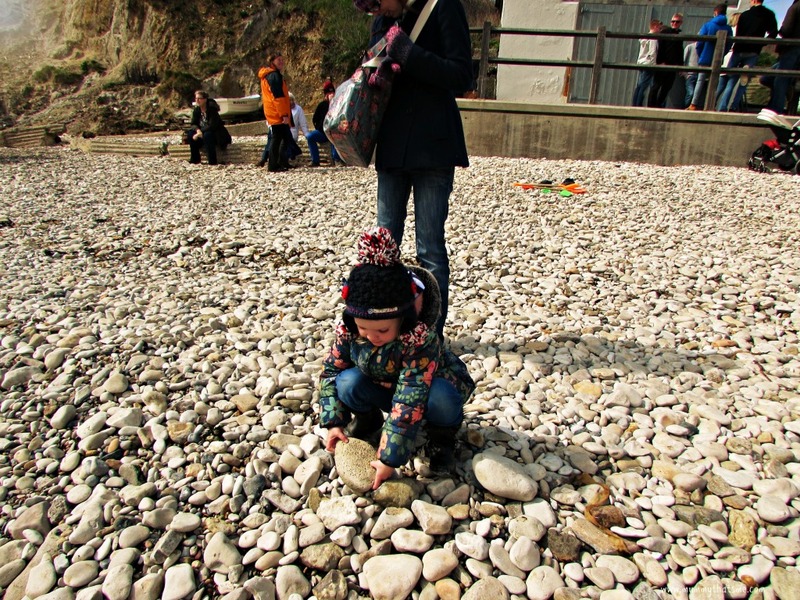 The beach area itself is made up of stones with only a small sandy area, E loved looking at all the different sized stones and took a few home with her, only small ones were allowed! 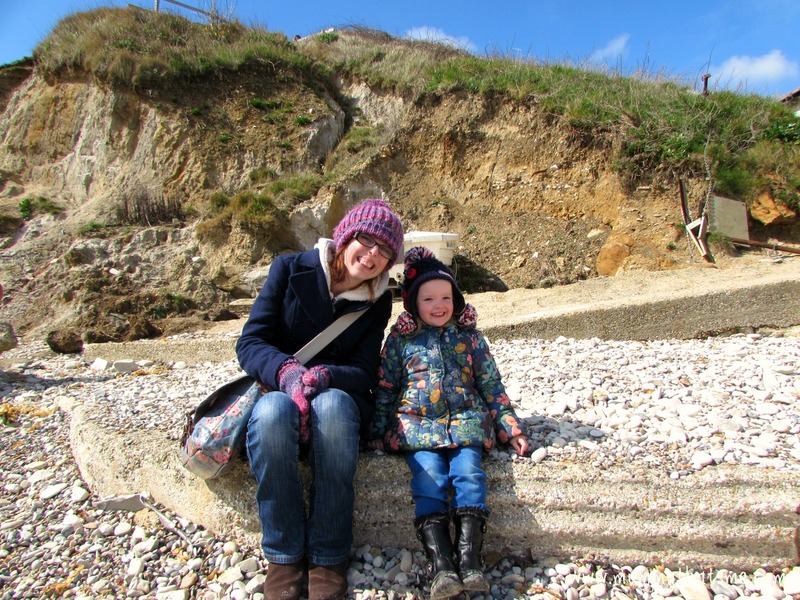 It really was a lovely day, it was nice and warm in the sunshine but there was still a nip in the air but that didn’t stop us from enjoying ourselves. Despite E starting with a cold she was still high-spirited and cheeky but in a nice way. 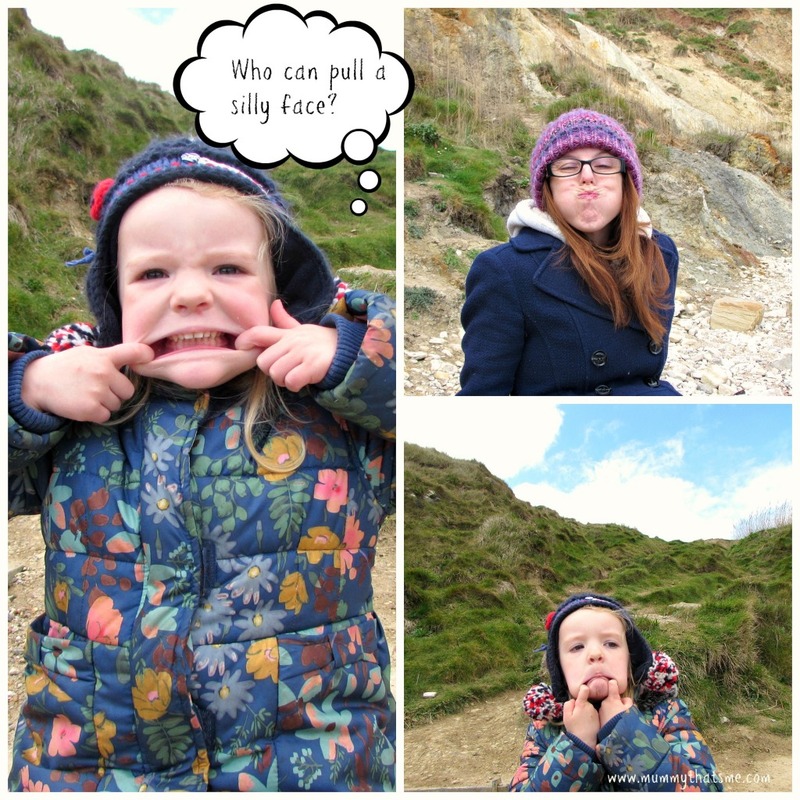 She has recently started pulling funny faces at she likes to see who can pull the silliest face, she wins hands down every time. As you can see she is more than happy to have her photo taken when she is being silly. 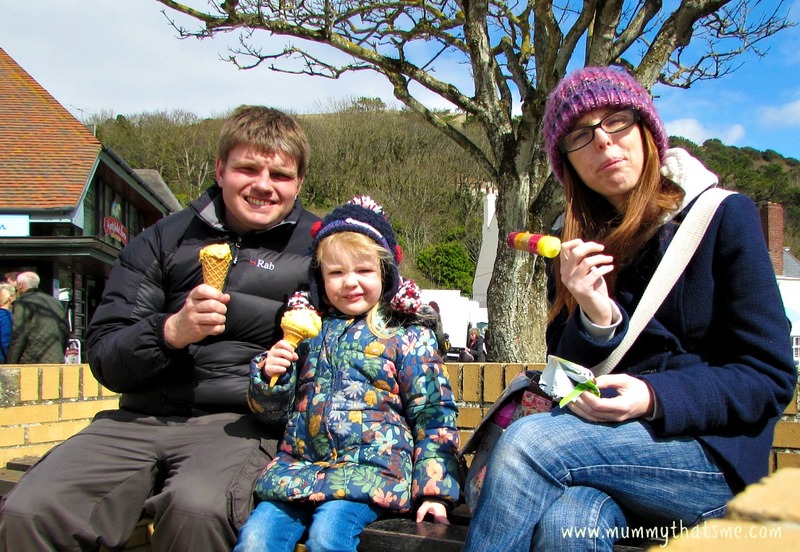 Despite the nip in the air E still insisted we have ice cream. 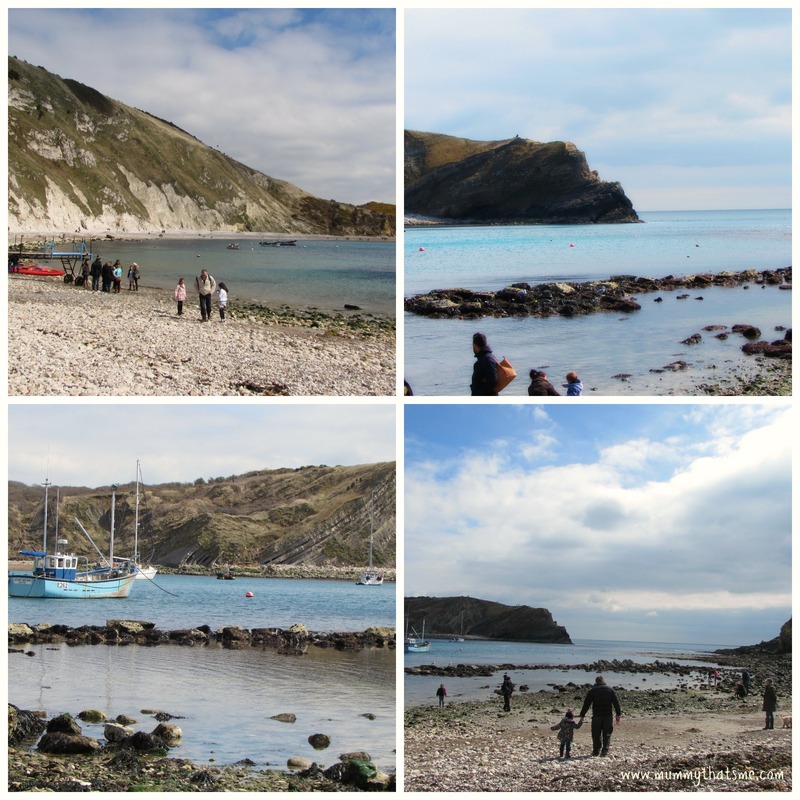 Here are a few snaps of the cove, it is hard to show how beautiful the area is on a few snaps and as we didn’t get to walk high enough up on the cliffs we were unable to get one wonderful photo that showed the whole cove. The changing weather made taking photos hard too. 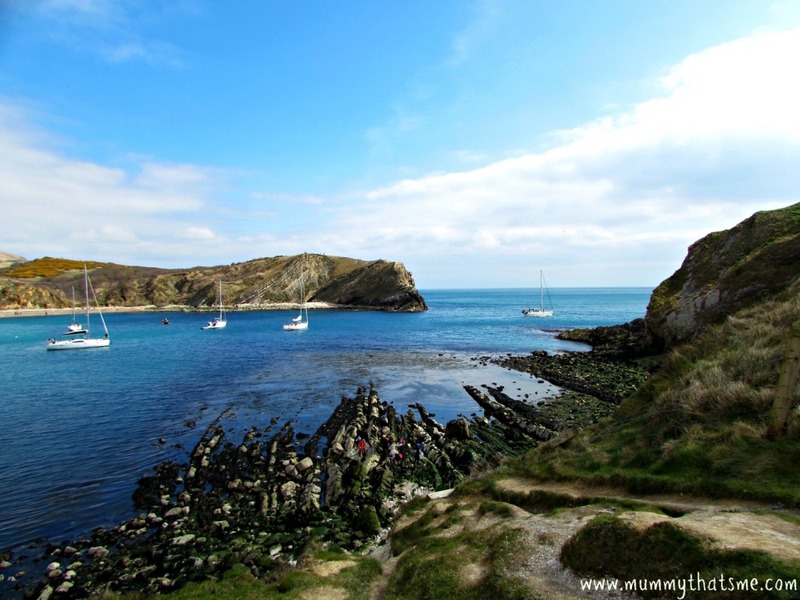 Lulworth cove is a beautiful place and if you ever go and visit the Dorset area I would recommend a visit. 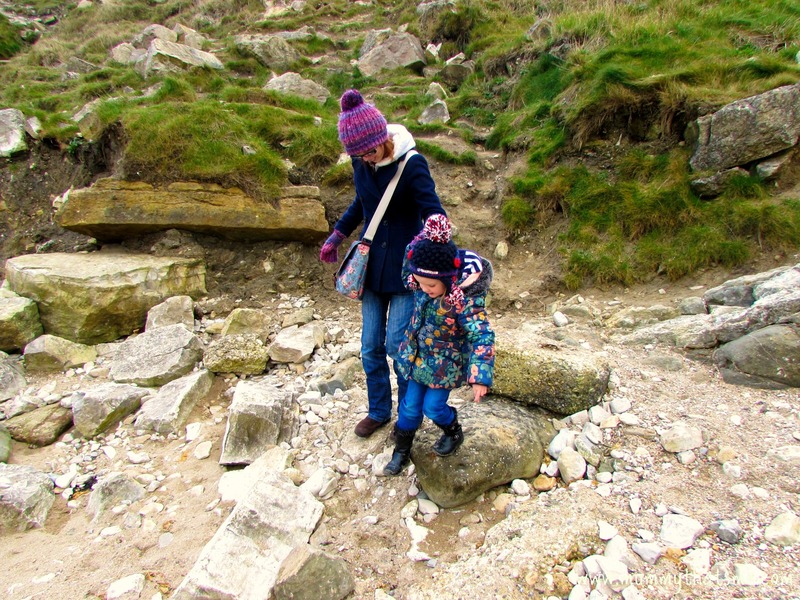 Just up the road is Durdledoor which also looks beautiful but we didn’t get chance to go there as the weather changed and E started feeling poorly.